As a new office in the Mossy Oak Properties’ franchise, the business owners wanted to kick-start their business. 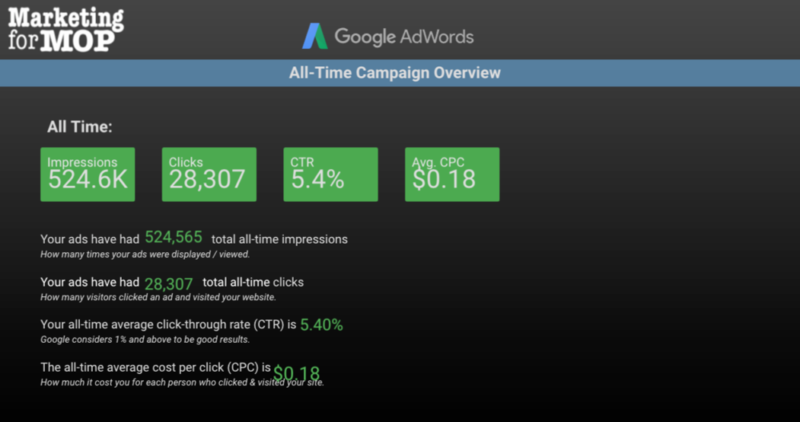 We knew our Google PPC (Pay Per Click) Adwords Campaign would bring their website to the first page of Google, immediately, which was sure to help do just that, proving to be a very effective, powerful and affordable part of their online presence. It is critical that we create a perfect match between keywords, ads and site content. Site visitors searching for a Wyoming ranch want to see “Wyoming Ranches” in the ad they click on. And more importantly, they want to see a page full of Wyoming ranches after they click the ad. We started by completing extensive research to determine the absolute best keywords to target for this client. Then we developed sets of ads for each keyword group, and linked the ads to hyper-relevant pages on the site. In this case, we even created a few new pages to ensure exact matches between the ads and the content on the pages that they link to. 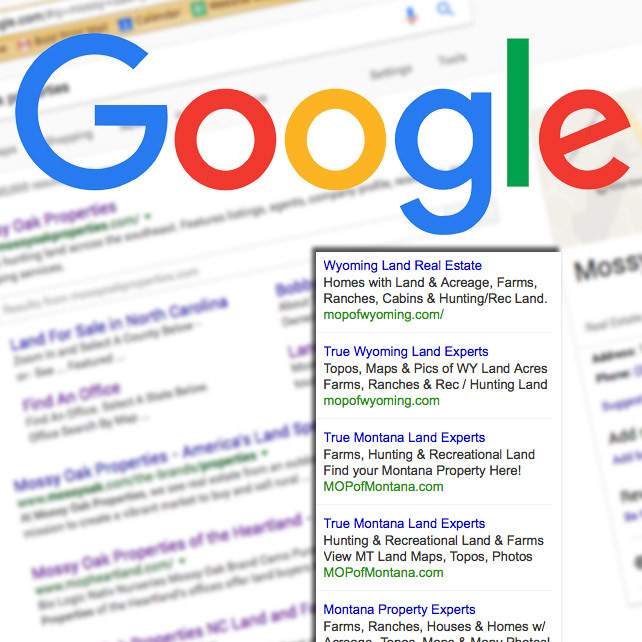 We launched the campaign, and the ads we created were immediately displaying at the top of search results pages for any phrase involving searching for recreational land and rural homes in Wyoming or Montana. This is only the start of a successful campaign. The real magic begins as we use the data provided to us by Google to continuously refine the keywords, ads and campaign in general. Each month, our SEO experts look behind the scenes and made adjustments following best practices per Google. Over time their ads continued to gain positioning in Google’s system. Since the ads are so relevant, they quickly began to earn more clicks, for lower cost, with better ad position. The results bring great success that compounds each month – higher and higher results for the same money. The proof is in the pie graphs! 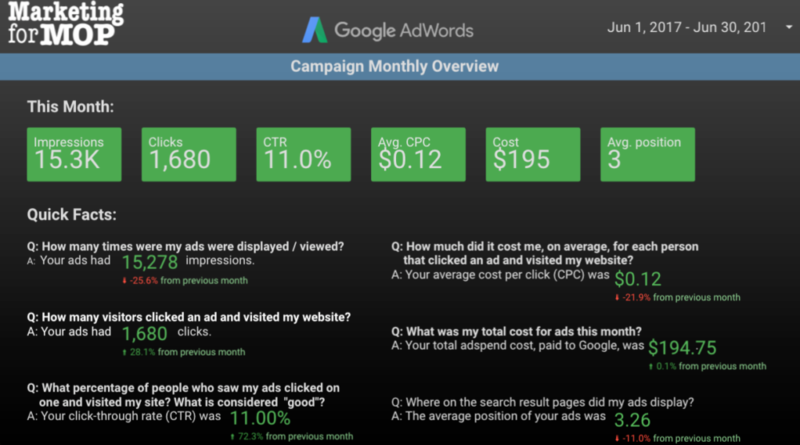 We prepared our custom Adwords Report as a real-time, easy-to-read “plain english” report, available online 24/7 for the client’s review. At any time, they can see concrete data of the success of the ad campaign, ads, keywords, click thru’s, average cost per click and more. All Time stats for all combined campaigns. 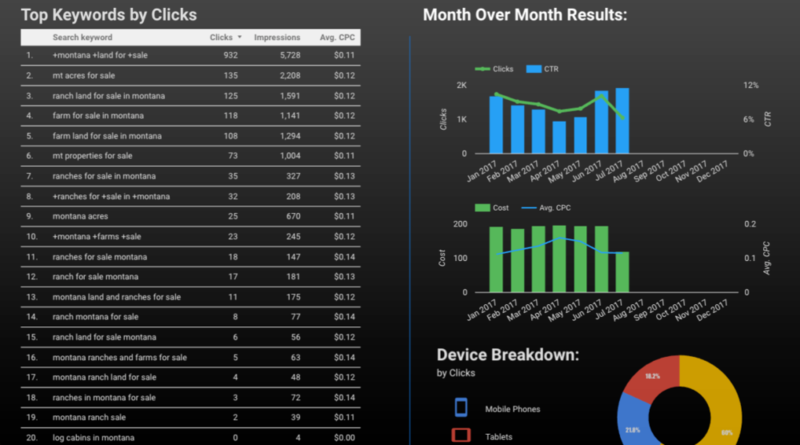 Individual keywords ranking highest and month-by-month results show campaign trends.